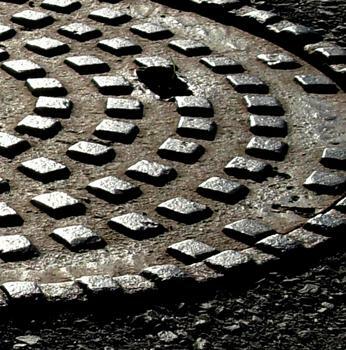 A closer view of a manhole cover. Authorities are investigating the death of a man found unresponsive while working inside a sewer in suburban St. Louis. Police in Maryland Heights say 46-year-old Daniel Accola of Robertsville died at a hospital shortly before 11 a.m. Monday. That was about an hour after he fell ill with a co-worker in a new sewer line about 18 feet underground. The other worker managed to make it out of the manhole under his own power. Authorities say it's not immediately clear what caused Accola's death.